First of all, a CT scan, CAT scan or Computerized Axial Tomography Scan are all basically the same thing. Think of it like calling your television a TV or if you’re English, a telly. All three names are interchangeable. So here, instead of having to read Computerized Axial Tomography scan every time, we’ll simply use CT.
What are CT or CAT scans? CT scans are basically x-ray procedures that combine numerous x-ray images from different angles. A computer then outputs cross-sectional views of the scans which show bones and soft tissues and blood vessels inside your body. 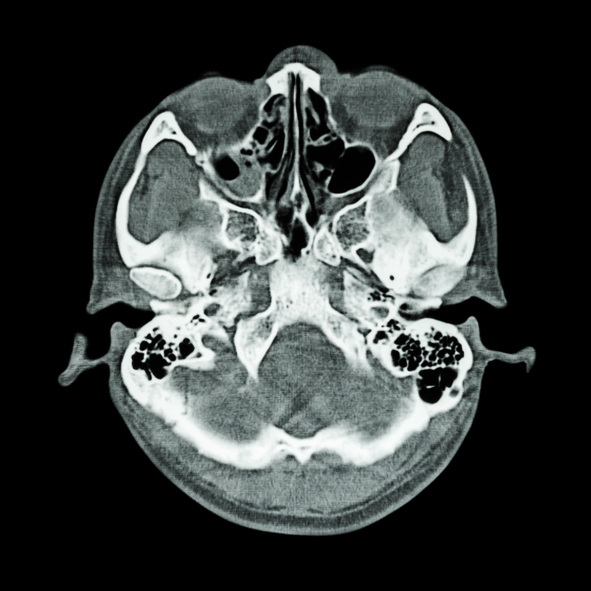 ABOVE: Computer Tomography (CT) of head from top view. But CT scan images can provide much more information than plain X-rays since, if needed, three-dimensional images of internal organs and structures of the body can be viewed. Imagine a CT scan as if you were looking at one end of a loaf of bread that has been cut into slices. By taking away each slice of bread, you can see the entire internal section of the loaf from one end crust to the other. 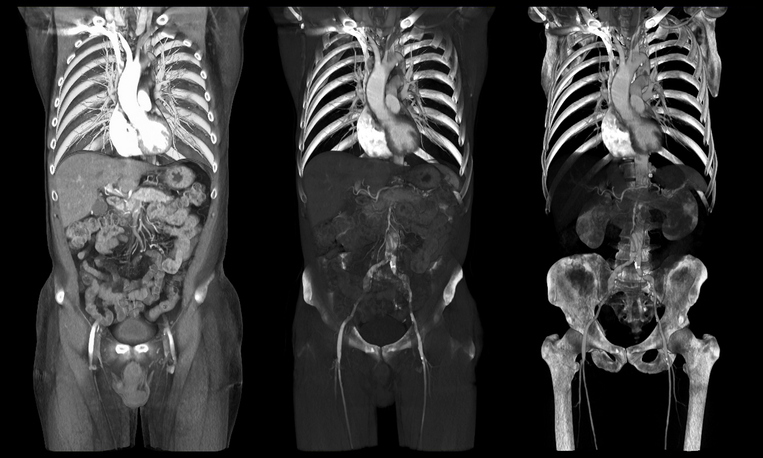 A qualified professional will be able to look at each of these CT slices individually or ‘add’ them together to view 3-D images of the organ or body structure. These cross-sectional images of the area being studied can then be examined on a computer monitor, printed or transferred to a CD. 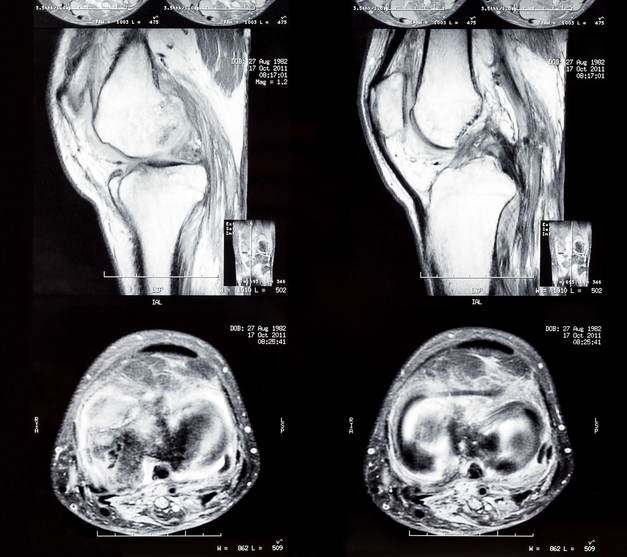 These images allow a qualified radiologist, a medical doctor who specializes in images of the body, to help physicians diagnose and treat medical conditions and/or assist in procedures by helping to accurately guide the placement of instruments or treatments. You may want to get a copy of the CD of your CT scan and want to view it on your own computer, however it takes a certain software program to be able to see the actual images. 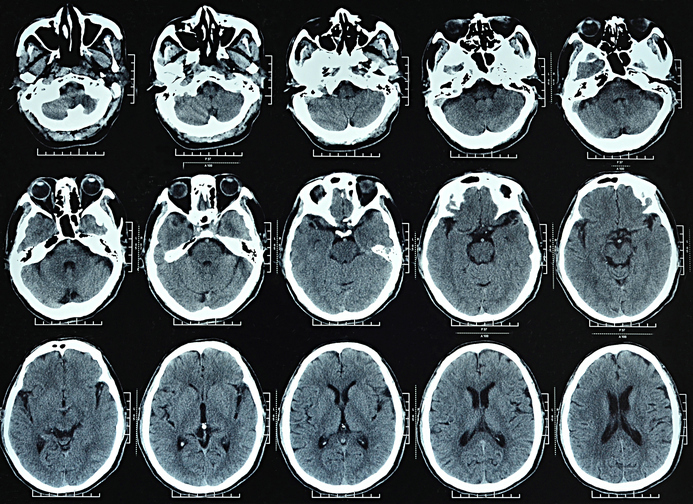 CT scanning has become a commonly performed procedure. Scanners are found not only in hospital x-ray departments, but also in outpatient offices. 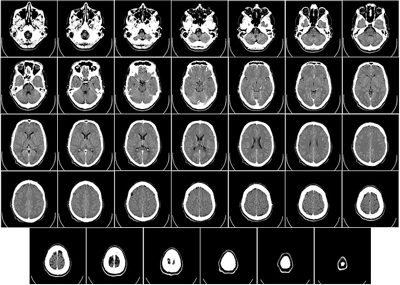 ABOVE: Computer Tomography (CT) of brain. ABOVE: Brain and skull CAT scan. ABOVE: CAT scan of knee. 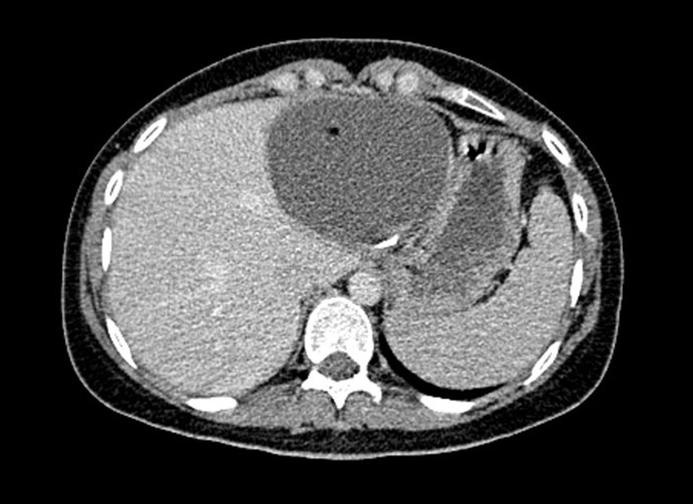 ABOVE: CT scan of parasitic cyst. ABOVE: Full torso CT or CAT scan. 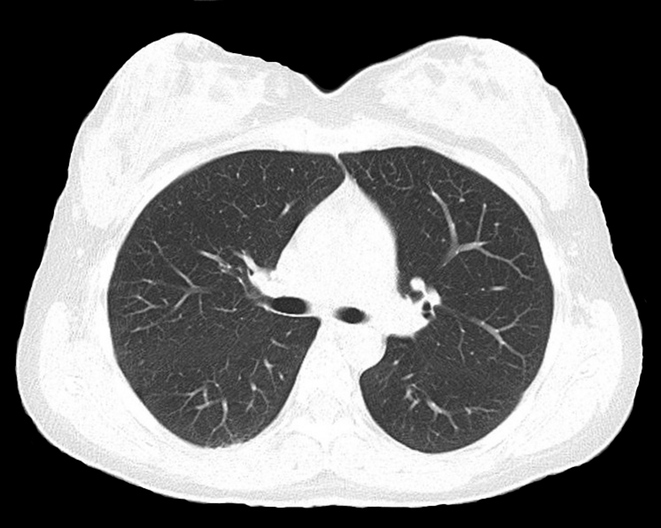 ABOVE: CT scan of lungs.